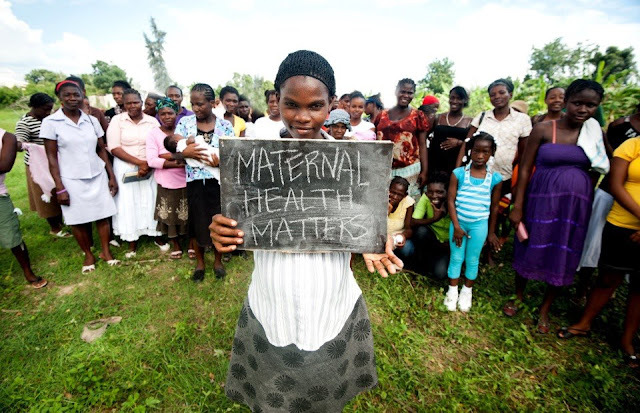 "The vast majority of maternal deaths (80%) are due to complications experienced by women during pregnancy, at delivery, or within six weeks post delivery. Significant reductions in maternal mortality could be achieved if health services were available to, and used by, all women during pregnancy, childbirth, and its immediate aftermath. " "There is emerging evidence of the link between poverty and maternal deaths in low- and middle-income countries. " "Over half a million women die every year in childbirth or from pregnancy-related causes.Virtually all (99%) of these maternal deaths occur in low-income countries.For every woman who loses her life due to pregnancy, between 15 and 30 women suffer from life-long illness and disability." "On Jan 10 my friend, Barry McDonald, is going to run 312 miles crossing Haiti over 12 days to raise awareness and funds for a vitally important maternal health clinic that is being built by our good friends at HeartLine. Safe births = less orphans. Shelley and I have driven many women in labor to sub par hospitals where unaccompanied mothers were giving birth under bushes or laboring on floors covered with blood from previous births. Selfishly I want you to donate so that I never have to see those conditions again, because I know that Heartline will do this right. Please give what you can."